Carve top off of pumpkin. Using a large spoon, scrape insides of pumpkin, removing pulp and seeds to a bowl. 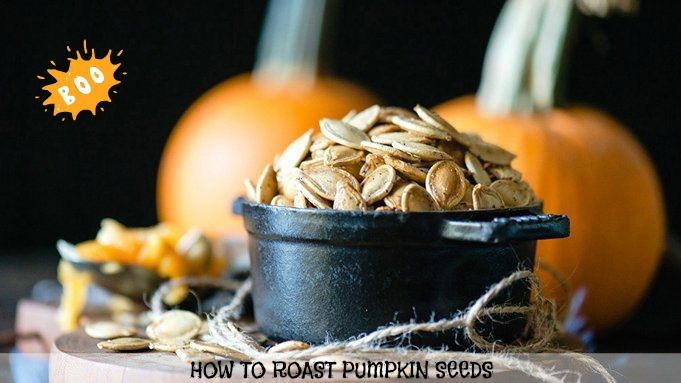 Pick out seeds from pumpkin pulp, placing seeds in a separate dish. Rinse any remaining pulp off of seeds. Bake for 25-30 minutes until lightly golden brown.